An Irish politician who’s in Iowa today is offering his perspective on our country’s presidential race. “My deep belief is that American politics and the system of politics here is resilient and it always reverts back to the politics that isn’t politics of rhetoric and it’s politics that certainly isn’t the politics of fear and I know that America will revert back to that, ultimately,” John Deasy of County Waterford, Ireland, said this morning in Des Moines. Deasy has been a member of the Irish Parliament for 14 years. 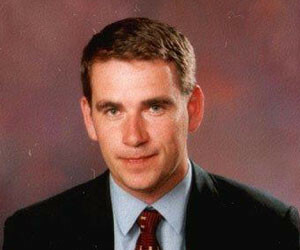 Earlier in his career, Deasy lived in the U.S. for 11 years and served as an aide members of the U.S. House and Senate. Deasy made his comments in speeches before the Iowa House and Senate. Deasy is in Iowa as a special guest for St. Patrick’s week celebrations in Emmetsburg. The community’s St. Patrick’s parade will start at 1:30 p.m. Saturday, followed by a Social Gathering of the Clans. Irish immigrants with the last names of Nolan, Neary, Mahan, Laughlin, Downey, Sylvester, Jackman, Hickey and Crowley settled in what is now the city of Emmetsburg in 1856.